• CERAMIC COATED CYLINDER : the heat is spread evenly over the surface preventing damage to skin and hair. A brush made ​​with traditional aluminum cylinders not treated tends to accumulate a lot of heat in a single point which consequently heats excessively. The cylinder of PLATINUMinsteadis covered with ceramic heat is dispersed evenly over the surface thus preventing possible damage to the hair and skin. alsoCeramic is a non-metallic mineralchemically crystallizedworked at high pressure and high temperature generally termed Bio- ceramic. 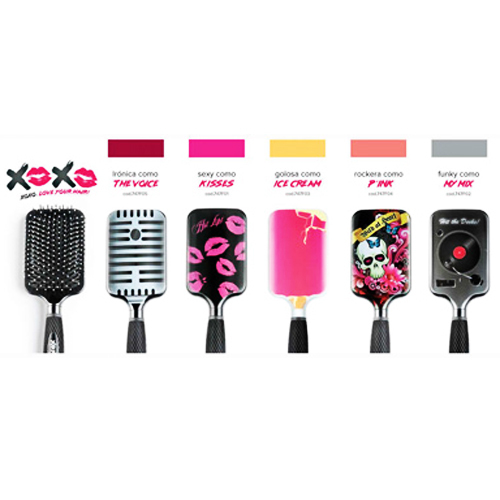 This material Bio-Ceramic releases infrared rays that prove to be extremely beneficial to avoid the formation of split ends and protecting the skin from excessive heat. • NANO SILVER TECHNOLOGY prevents the formation of bacteria and fungi. silver (Ag +) has been recognizedfrom ancient timesas a substance that possesses the natural powers that help prevent the formation of fungus and bacteria that possess antibacterial properties. To maximize these benefits using the ' Nano Silver Technology'. In other wordswhen the silver is divided into units of nano-sizedie 1 millionth the thickness of a human hairthe inherent advantages of the Silverthat include anti-bacterial functiondetoxifying and sterilizingbecome even more concentrated and effective. 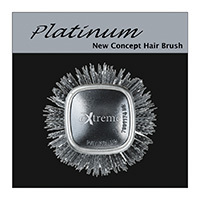 Using the brush with Platinum Nano Silver Technology hair will gain a definite benefit.